Ear infections are very common in young children, and ear infection symptoms can be very painful. 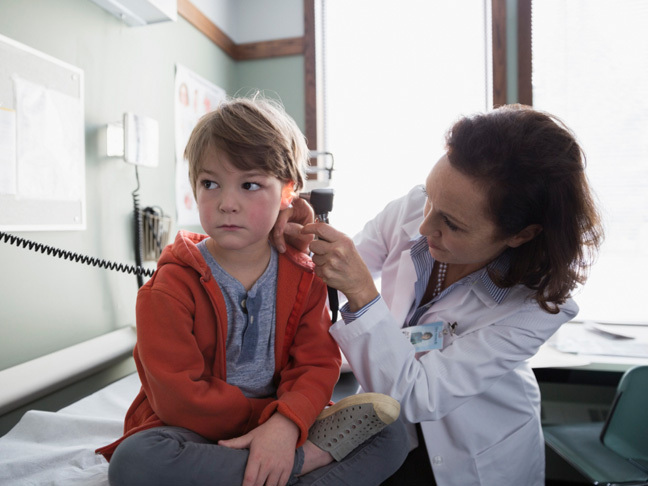 As a pediatrician in a large New York City pediatrics practice, I frequently see children with symptoms of ear infection and their parents always have lots of questions: What causes ear infections? 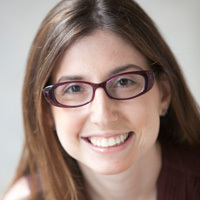 Why do kids get them more frequently than adults? Do all ear infections need to be treated? You may have the same questions, too. So here it is: The guide to absolutely everything you need to know about ear infections, including signs of ear infection in children, when to call the doctor, and more. What ear infection symptoms should parents watch out for? Ear infections, known by the medical term otitis media, are an infection of the middle ear — specifically the space behind the ear drum. It is not uncommon for children to have ear infections following colds or other viral illnesses, because the fluid that builds up behind the inner ear during those illnesses can get infected. Environmental allergies can also cause a buildup of fluid behind the ear drum, and lead to an infection. The only way to diagnose an ear infection is to have your child’s doctor look in his ears to see if the typical signs of an ear infection, like redness or pus behind the ear drum, are present. Why do kids get ear infections more frequently than adults? Children are more likely to have viral illnesses than adults because they are in close contact with other children and young children often put toys and other objects in their mouths. These illnesses cause swelling of the mucous membranes in the nose and throat, which make it more likely for bacteria to build up in the nose. In addition, children’s Eustachian tubes are more narrow and more horizontal then adults. This narrow tube runs from the back of the ear into the throat and allows for fluid drainage from the ear. As children get older, the Eustachian tube lies more on a diagonal which helps to promote fluid drainage. Since children’s Eustachian tubes are more horizontal, they tend to clog easier and do not drain fluid as well making children more susceptible to ear infections. First and foremost, you want to make sure your child is comfortable by controlling her pain. If she’s older than six months, you can manage her pain with over-the-counter pain relievers such as acetaminophen and ibuprofen. ( It is not recommended to use cough or cold medications or decongestant in children.) Your pediatrician will then decide how to treat the actual ear infection based on your child’s age, history of previous infections, degree of illness, and underlying medical problems. One strategy is to prescribe antibiotics and the second is watchful waiting. Watchful waiting refers to the idea of observing a child for 48 to 72 hours before starting antibiotics. If the child isn’t feeling better within that timeframe then she would start taking antibiotics. What are ear tubes and when might a child need them? Ear tubes are tiny tubes that a doctor puts in a child’s ear drums to create an opening. This procedure is done surgically by an Ear, Nose and Throat specialist. Children may need ear tubes if they are having repeated ear infections (typically more than three infections in a six month period), or have chronic fluid buildup behind the ears (the later can lead to hearing loss and speech delays). If you think that your child may need ear tubes, reach out to your pediatrician.